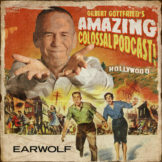 Gilbert and Frank welcome a favorite performer (sorry…performers! 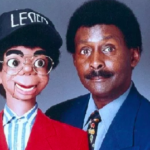 ), legendary ventriloquist Willie Tyler and his longtime partner, Lester, for an entertaining conversation about the history of the “Chitlin Circuit,” ventriloquism-themed horror movies, the mob’s influence in Vegas and and the golden age of “the Motown Sound.” Also: Steve Rossi teams with Slappy White, George Kirby channels Pearl Bailey, Edgar Bergen offers sage advice and Willie opens for Marvin Gaye, Smokey Robinson and Stevie Wonder. PLUS: Jules Podell! Shari Lewis & Lamb Chop! Don Rickles takes a front seat! Lester meets George Jefferson! And the many talents of Paul Winchell!